I got burned by a power blip tonight so I have a UPS on the FF now. 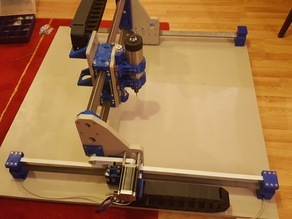 I'm embarking on a journey to build the Root 2.1 CNC multitool router 3D printed parts by sailorpete. Topic: What Filament to Get? Could this be the holy grail I'm looking for. An inexpensive WiFi sheild that uses the Arduino standard WiFi library? More research required before I hit the Buy button.